Providing quality service is our focus. PR Painting offers a broad range of services across residential, commercial and real estate properties. Our comprehensive suite encompasses both interiors and exteriors, and everything from small- to large-scale projects. Because of our attention to detail and focus on high-quality finishes, PR Painting are specialist providers of painting solutions for properties on the high end of the market scale. 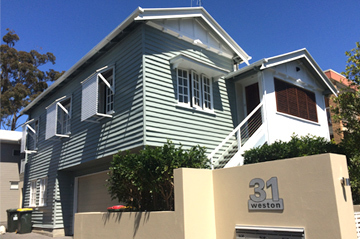 We meet the strict quality standards set by our most discerning business and residential clients with flawless finishes to their projects, and a sophisticated range of services — including a colour consultancy — that sets us among the best Brisbane painters. PR Painting has decades of experience in helping a diverse client base to achieve sophistication and beauty in their projects. Whether you’re looking for painting solutions for residential, commercial, or high-end architecturally designed properties, we will deliver both technical artistry and customer-focused service to achieve a truly remarkable end result.